Creating a jaw-dropping Thanksgiving table doesn’t require splurging on new five-piece flatware sets or high-end china. This tabletop, courtesy of Camille Styles, uses simple yet sophisticated cutlery and dishes. 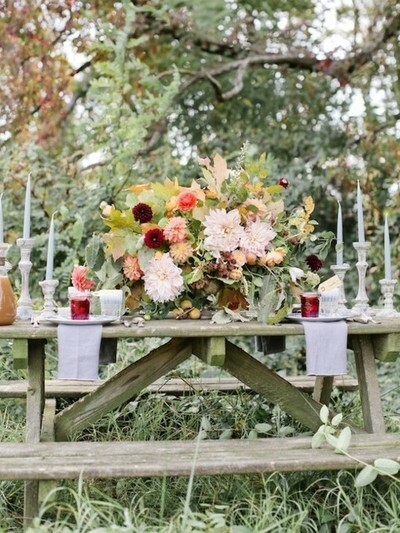 A breathtaking bouquet of fall flowers dominates the rest of the design!